Easter weekend is just around the corner, a time when locals head to the beaches of the Cayman Islands for four days of camping (from Good Friday through Easter Monday), religious services and festive events. While residents enjoy their "staycation," visitors from far away travel to the islands for this holiday period and find Cayman apartments for rent during their stay. While you are staying at your Grand Cayman house rental, head to the beach, where you will find hundreds of families camped out, enjoying the simpler traditions of Cayman life. You can swim, fish, snorkel, play games on the sand and fully experience the friendly atmosphere of these islands. Most of the popular restaurants offer Easter brunch with enough options available to please your palate and your pocketbook. Check out such restaurants as Grand Old House, The Ritz-Carlton, LUCA and the Kimpton Seafire, among many others. These brunch spots are busier than usual on Easter Sunday, so be sure to make reservations in advance. Choose one of our many relaxing vacation rental houses like Neptunes Berth, featuring a beautiful beach view and enjoy your stay in the tranquil ambience of the smaller Sister Island - Little Cayman. Take a short plane ride and explore water sports, cultural history, or dive off the Caribbean’s most sensational wall dive - Bloody Bay Wall. Bring out your inner artist at Chalkfest at Camana Bay on Saturday, March 31. Treats, games and balloon animals are all part of the fun, then, on Monday, April 2, make a kite or buy one at the festival and participate in the kite flying competition at Kaibo. You’ll find the festive spirit all around the Cayman Islands. An Easter regatta is staged on Good Friday and Easter Saturday as well, so keep your eye out for sailboats in this Round the Island Race. Easter is the perfect time to visit the Cayman Islands with so many activities, special events and fabulous brunches. Vacation rentals in the Cayman Islands make it easy for you to relax in comfort and style during your stay, with a touch of home away from home. 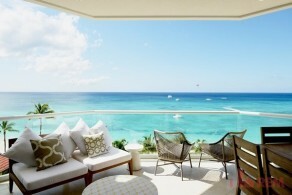 We are experienced Cayman real estate agents and will offer you the rental house that best suits your needs. Contact us today.